This is what I have been adding to my smoothies. 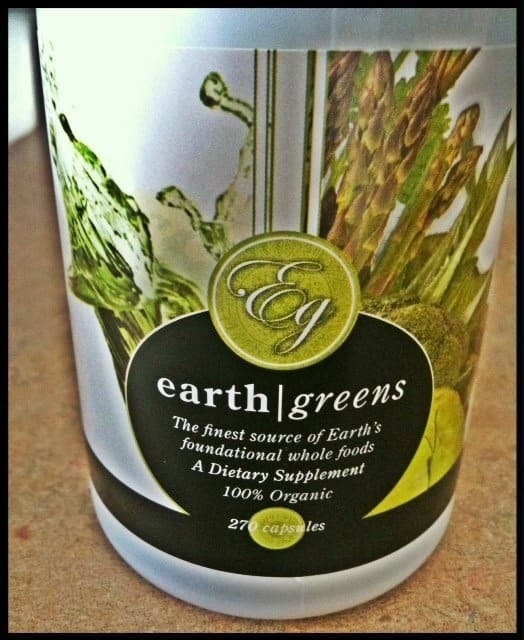 Enjoy the health benefits of 5.5 POUNDS of organic vegetables in each scoop of Organic Earth Greens! Our bodies are designed to absorb nutrition most effectively from supplements developed from organic whole foods. 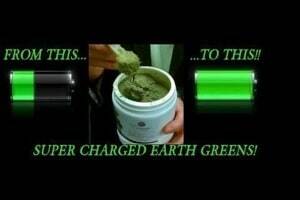 Organic vegetation naturally co-factors all necessary vitamins & minerals. Co-factoring is essential; it is the single major support to nutritional absorption. Organic Earth Greens are a powerful blend of organic grasses, vegetables, sprouts, leaves & high frequency minerals which provide whole body nutrition, plus they assist in alkalizing, energizing & nourishing your cells. Organically alkaline, Essante Earth Greens natural plant ingredients neutralize acid & put the body’s pH back to its ideal more alkaline state. In 1931 Dr. Ottow Warburg won the Nobel Peace Prize for proving that Alkalizing “Cures” Cancer. NO Cancer, NO Disease, NO Illness, NO Sickness, NO Virus … Not even excess FAT can survive in an Alkaline Environment !! So not only is it The Cure but the Prevention of All of the Above !! Essante Organics – The 1st and “ONLY” 100% Chemical Free & Certified Organic Living Company — focusing on ‘Live Raw Organic Whole Food Nutrition” ” Inside & Out” ….. …. Create Perfect pH with Essante Organics !! Hum. I am thinking about adding to my diet now. Sounds great! Hmm…. but how does it taste? I’m going to check this out, sounds wonderful for pre workouts.